Should we worry about islamic terrorism in Ireland? 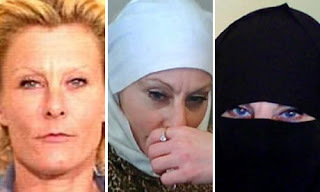 Today's Sunday Times has a feature on the 'enemy within Irish society' dealing with the recent arrests of several muslims in Ireland suspected of plotting to kill Lars Vilks, along with 'Jihad Jane' (Colleen LaRose) in the photo. As the Times points out, there are about 40,000 muslims in Ireland: 35,000 of them Sunni and the balance Shia. Sunni are now the largest single religious denomination in Ireland after Roman Catholic and Church of Ireland. That seems like a lot of potential Islamic Irish terrorists and suicide bombers: and it is also an incredibly stupid way of assessing the 'threat' posed by muslims in Ireland. A bit like gauging the threat posed by the Real IRA on the basis of the number of Catholics in Northern Ireland. To be honest, what strikes me most about Islamic terrorists in Europe is not how dangerous they are (unless you're a Swedish cartoonists, and even then ...) but how inept they are. Seriously: I despise the violence-worshippers in the Real/Continuity IRA, but they seem to be far more deadly effective at what they are doing (in the face of a far more extensive and intensive counter-insurgency operation) than a bunch of would-be Islamic assassins. Insurgents on their home ground usually are: just look at the Taliban and Hezbollah. There is a real terrorist threat posed by Islamic terrorists: but its victims are mostly other Muslims in mainly Islamic countries. And the prospects for more of the same seem fairly likely given the grim fragmentation and political stagnation that now grips much of the Arab world. But too often it seems that claims about the threat posed by Islamic terrorists in Europe (never mind Ireland) belong in the same league as fanciful extrapolations about how Europe is becoming Islamicised. As usual with terrorism, it is the crass over-reaction of governments and the securocratic empires they spawn that are the bigger threat to our freedom. The bottom line is that our own police and intelligence forces have been able to neutralise the threat posed by a small handful of operatives in Ireland: one far less dangerous than the one posed by our own, homegrown terrorists. We need to remain vigilant: but then, that is the eternal price of democracy. We should all be happy to pay it. "There is a real terrorist threat posed by Islamic terrorists: but its victims are mostly other Muslims in mainly Islamic countries." 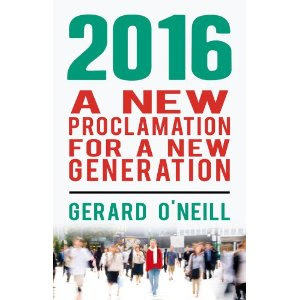 A United Ireland by 2016?